TravelEurope Bucharest hotel reservation service provides you with a wide variety of lodging and hotel options, from cheap hotels to luxury accommodation in Bucharest. Quick and easy hotel reservations with instant confirmation and great value for money whether you travel for business or tourism. Select travel dates and find all available hotels in Bucharest, check out guests reviews and locate properties on Bucharest city maps, book your favourite accommodation with no pre-payment. All rates are in Euros and inclusive of all taxes. 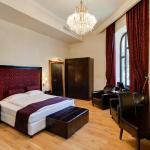 The Calea Victoriei Residence is situated in downtown Bucharest, close to the famous Revolution Square. Thanks to this convenient central location, you can easily reach all major attractions of the city. 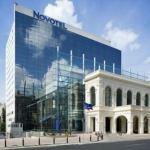 Novotel Bucharest City Centre is located in the immediate vicinity of the University of Bucharest and the Cismigiu Park. This convenient central location allows you to visit the city on foot. 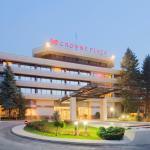 The Hotel Unique is located along the Piata Romana, close to Otopeni airport and the exhibition RomExpo. 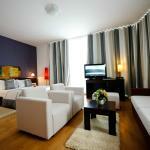 From this hotel you can easily visit Poporului House, Piata Victoriei and major tourist attractions.